TVC is proud to announce the completion of all necessary activities to be awarded the revised ISO/IEC 17025:2017 accreditation. The current transitional period for the revision is being rolled out across UK laboratories which makes our updated accreditation one of the first to be granted. 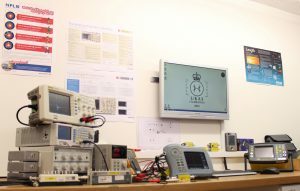 TVC offer UKAS recalibration services for ultrasonic flaw detectors to the current ISO 12668 standard, both in our purpose-built facility and on the customers’ own site. We currently service the inspection and aerospace industries with UKAS recalibration in the UK and mainland Europe. TVC offers onsite recalibration for all types of NDT and inspection equipment. Our trained technicians have the skills required to complete recalibration to recognised national and international standards giving full traceability to our client’s equipment. Our services are carried out on military installations, aerospace manufacturing facilities and onboard a variety of ships and vessels. For more information, please contact TVC directly or visit our calibration services page. Recalibrations can be booked directly from here. To find out more about the revision itself, visit ISO’s YouTube video here.